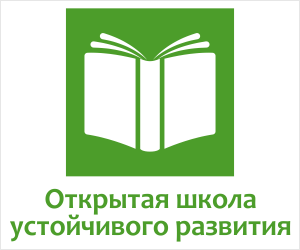 Eugene Popov, power engineer, post-graduate student of the Sustainable Innovative Development Department (the International University of Nature, Society and Man “Dubna”). 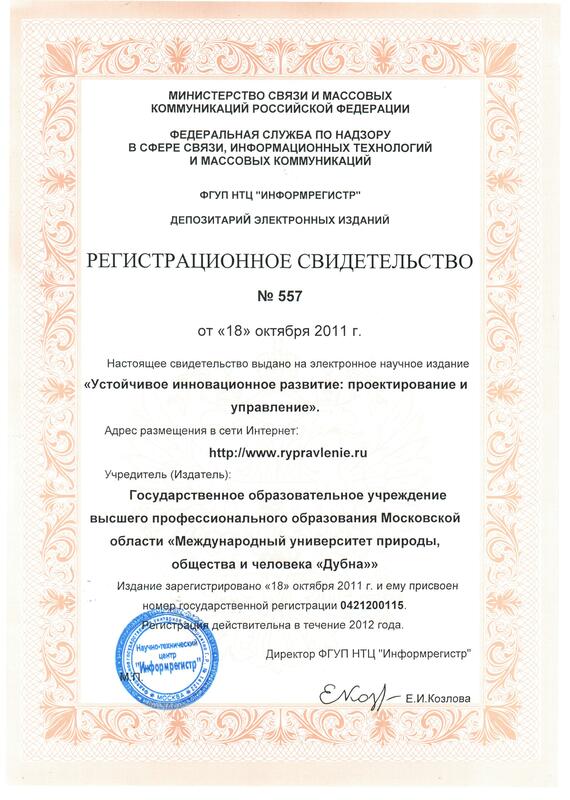 This article discusses the technology of designing regional sustainable innovative development using the example of the Southern Federal District and the Rostov Region, including the calculation of the current state of the Southern Federal District’s subjects and the design of sustainable innovative development of the Rostov region till 2030, as well as building a plan to achieve the goal of transition Rostov region to sustainable innovative development with monitoring and evaluation of innovation. 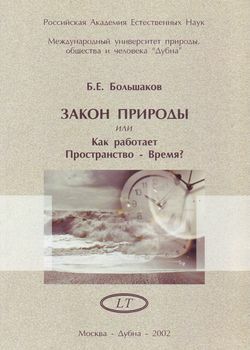 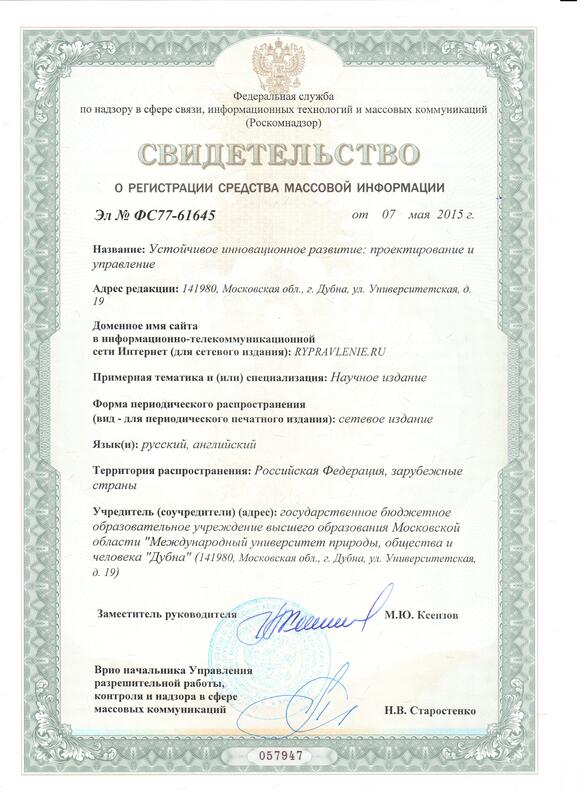 The article was written under the grant of RFBR № 12-06-00286-а. 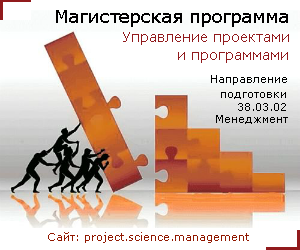 KEYWORDS: regional sustainable development planning, monitoring and evaluation of innovation, development management.